All books make me happy, just by being books. 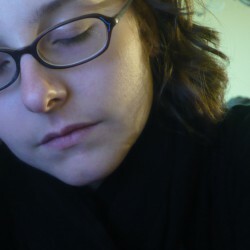 Most of my favorite books, in their plots, don't make me happy, but make me feel other things - awe, disgust, fear, inspiration, excitement. To find a book that makes me happy, I'd have to go back to my childhood, where stories were simpler. 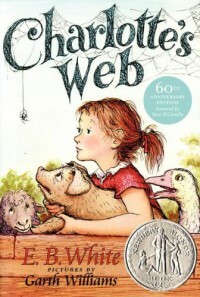 My absolute favorite children's book was Charlotte's Web. A spider who writes words? An adorable pig? A gluttonous rat? Lasting friendship and tenderness? How can you not be happy when you read that? I still have my original copy, that I got for one Christmas from my parents. Not only did that book make me happy at the time, but it makes me happy still.